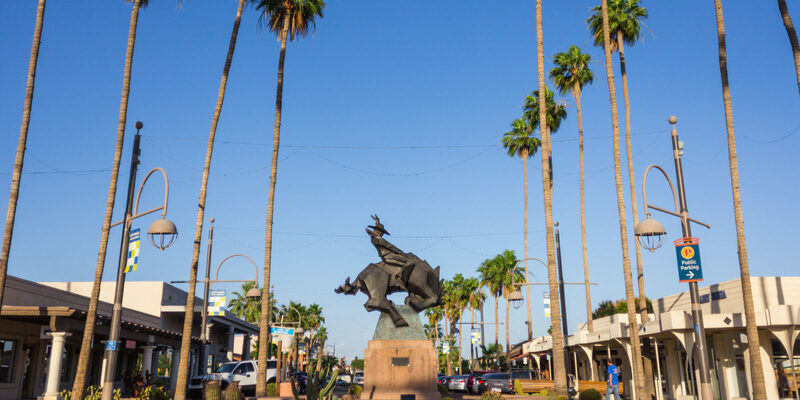 The hub of Scottsdale’s shopping, dining, arts and style, Old Town is a must-visit destination for a perfect time out — day or night. 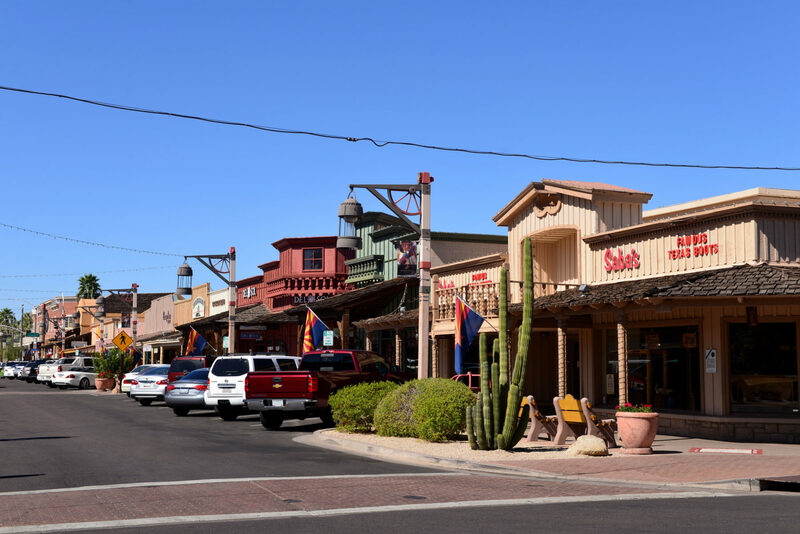 Old Town Scottsdale and the nearby 5th Avenue Arts District provide the ideal setting for a stylish afternoon-into-evening. Immerse yourself in the city’s easygoing-yet-sophisticated vibe and explore the area’s delectable dining, boutique shopping and fascinating galleries and museums. Old Town has so many dining options, whether you’re seeking a quick snack or a full-course meal. Stop in to The Herb Box for brunch and lunch choices that are sweet, savory, inventive and fresh. For a memorable dinner, try Bourbon & Bones, one the area’s many refined steakhouses. Or visit EVO for contemporary Italian that is at once hearty and delicate, upscale and comfortable. On Saturday mornings, be sure to visit Old Town Scottsdale Farmers Market to grab fresh local produce to prepare back in your villa. You can also pick up a variety of local artisan breads, cheeses, jams and more. Are you looking for quirky, creative Southwestern souvenirs? You’ll love exploring the numerous shops and boutiques in Old Town. Peruse regional treasures like dreamcatchers and Mexican pottery at Bischoff’s Shades of the West. Satisfy your sweet tooth in nostalgic style at Old Town Candy & Toys, with old-fashioned sweets and more than 144 baskets and bins of delectable mix and match candy. Or browse Native American jewelry, Italian figurines and other unique works of art at the Crazy Horse Gallery. 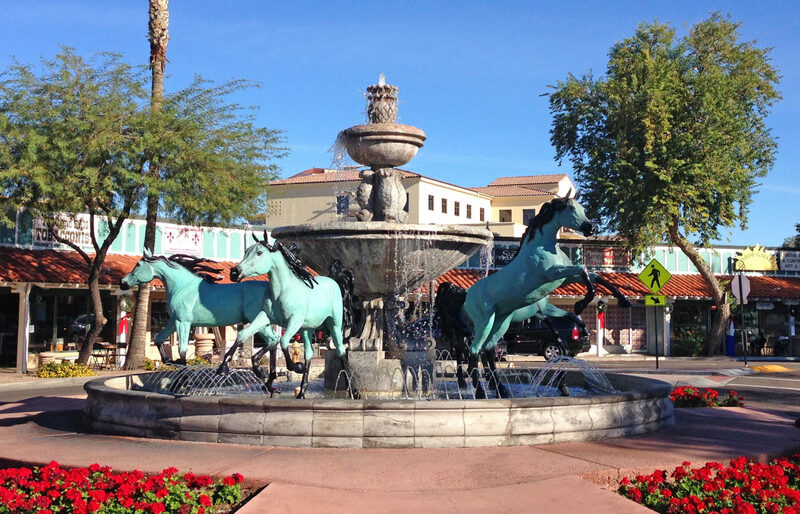 Speaking of art, whether you’re browsing with an eye to acquire a new piece or just admiring great works in a casual, easygoing environment, the Scottsdale ArtWalk will not disappoint. The weekly event on Thursday evenings is a decades-old tradition, taking place year-round except for Thanksgiving. The ArtWalk is free, with many galleries, restaurants and museums open for extended hours. Take a trolley or horse-drawn carriage throughout the Arts District and downtown as you explore themed art and exhibits. 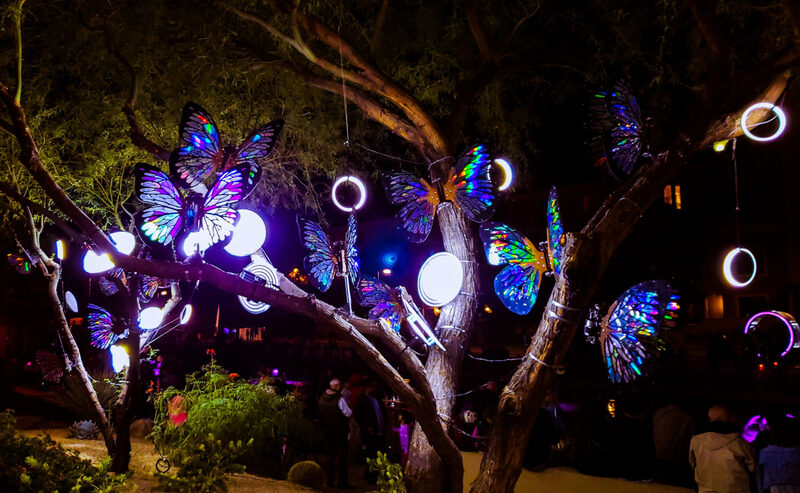 The breezy evening weather, vibrant live music, bubbling fountains and diverse galleries all come together to create an atmosphere that is uniquely Scottsdale. Nestled in the nearby Sonoran Desert, Marriott’s Canyon Villas at Desert Ridge is a tranquil retreat where you can relax between adventures. Your 2-bedroom villa will offer all the comforts of home, including plenty of space for the entire family to stretch out after a day of exploration. Take a dip in one of the refreshing pools, cook out at one of the on-site barbecue grills or choose from diverse resort activities for guests of all ages. 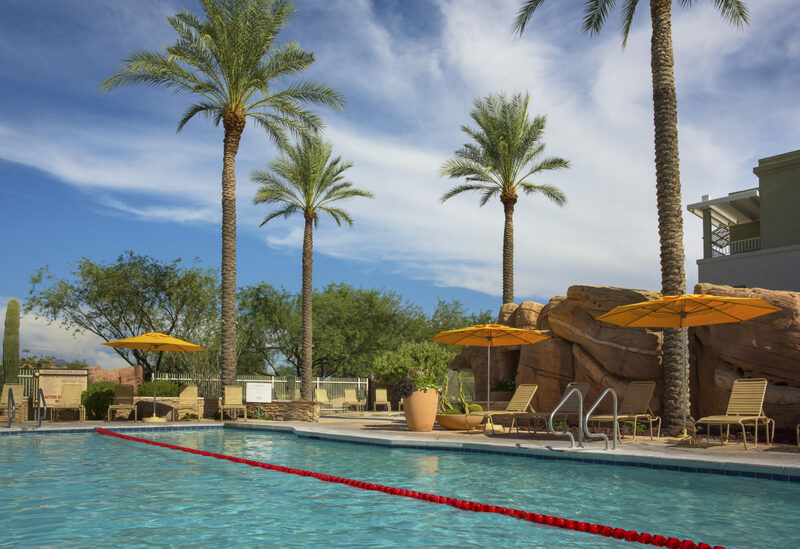 You’ll also enjoy convenient access to the amenities at the adjacent JW Marriott® Desert Ridge Resort & Spa, including five restaurants and lounges, Revive Spa, and the Wildfire Golf Club.